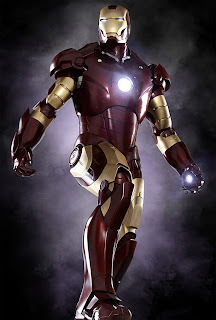 What do you think of when you someone say the words "Iron Man"? Are you a heavy metal maven and Black Sabbath (led by the famous Ozzy Osbourne) starts playing in your head? Or, maybe you're a fellow fitness addict and think of the famous Ironman triathlon event in Hawaii and wonder how someone can swim for 2.4 miles, bike 112 and then put in a 26.2 mile marathon run. Recently, something changed what comes to mind for me and Alicia actually watched the movie Iron Man with me and some friends and, despite her initial resistance because it's a "guy movie", she actually liked it! I was amazed, and considering the number of "chick flicks" that I've watched and hours of Lifetime, it was nice to have her on my side for a change. On other notes, the weather here in Michigan has been great for cross-country skiing and last week I skied for five straight days. The temperature dropped to below zero, so I took a day off and then got on the bike to keep the workout streak going. While I don't have any delusions of competing in an Iornman event (at least this year), I am in training to compete in some triathlons this year. I purchased a wetsuit and got some very nice aero-bars for my road bike for Christmas. I'm likely going to pass on the Lumberjack 100 this year (three years might be enough) and search for an Olympic distance tri (.93 mile swim, 24.8 mile bike and 6.2 mile run) for my 2009 Pedaling with a Purpose fundraising event this year. Those of you who know me, know that I'm an avid cyclist - so my hope is the middle "bike" leg of the tri will not be a problem. I've done a bit of running in the past as well, but getting in the pool is going to be the big challenge for me. Last year, I started doing some swimming and worked up to being able to do several laps without stopping. But, my technique is less than ideal and that's likely going to be my biggest challenge as I try to "un-train" myself from bad habits. I haven't been in the pool in several months, so I've got to get back in the water soon. If you've got suggestions for any good tris in southern Michigan, let me know. 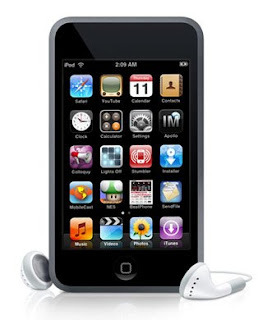 I'll likely post more about this later, but I am now the proud new owner of an Apple iTouch. The device is amazing and quite addicting (just ask Alicia). Since we've got WiFi at the house, the iTouch is always connected to the Internet and there are some amazing applications to download and install that keep you connected to the "outside world". The Facebook app has probably been the most addictive, simply because the FP (and general social networking) phenomenon has taken hold with my friend "circle" and I'm getting invites daily. Add this to my LinkedIn, Twitter and related activities, and I think 2009 is going to be the year of "online connections". As an Internet Consultant with WSI, I talk about social networking all the time and how businesses can leverage it to connect with their customers and build relationships. In fact, on Friday the 23rd at Noon (EST) I'm participating in a free webinar with Jeff Simpkins, the owner of Community Bank Consulting, Inc. to talk about "Blogging for Bankers". If you're interested in sitting in, just register online and you just might learn something.